Get ready to play Lucky for Life, The Game of a Lifetime, starting August 20, 2017. Pick five numbers between 1 and 48 for your five white ball numbers by marking the top section of the Lucky for Life play slip. Then, pick one number between 1 and 18 for your yellow Lucky Ball number by marking the bottom section of the Lucky for Life play slip, or mark the quick pick box on the play slip. Tickets can be purchased from 5:00 a.m. to 3:00 a.m. (Central Time) any day of the week except from 8:30 p.m. to 8:33 p.m. on drawing nights. Please note that the purchase cutoff for Lucky for Life is earlier than other Lotto games because Lucky for Life draws are held at 9:38 p.m. (Central Time). Review your play slip carefully before giving it to the clerk. Once printed, a ticket cannot be canceled. Check your tickets before leaving the store. The winning numbers will be announced every Monday and Thursday at 9:38 p.m. (Central Time). 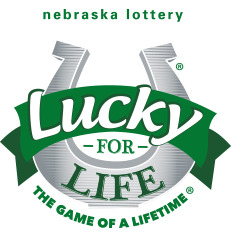 Get winning numbers here on nelottery.com, use the Nebraska Lottery mobile app, or call the Players Hotline at 1-800-224-LUCK (5825) or in Lincoln at 402-471-6139. There are two "For Life" prizes available in Lucky for Life. To win the $1,000 a day for life top prize, players must match all six winning numbers. The second prize of $25,000 a year for life can be won by matching all five white ball numbers. "For Life" prizes can be paid as an annuity for the length of a winner's natural life, or as one cash payment. A minimum of 20 years' worth of payments is guaranteed with the annuity option. Payments could last longer based on the lifespan of the winner.